Introducing an elegant and sophisticated design kit with floral clipart, velvet texture backgrounds and a rose pattern. These graphics are semitransparent and a dark background will show off the beautiful gouache texture. 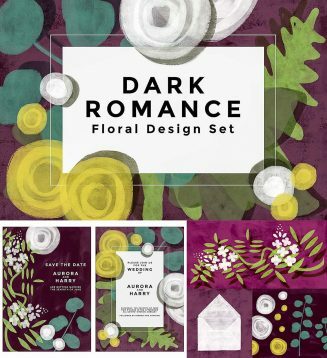 Tags: clipart, fern, foliage, gouache, pattern, Peony, wedding invitation.